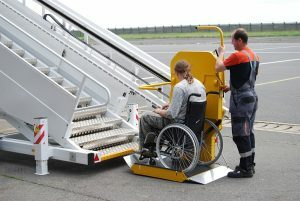 The Airplane Platform Lift has been designed to facilitate the transfer of people with reduced mobility in and out of airplanes. 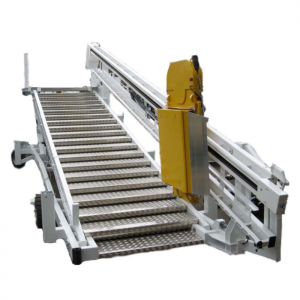 The lift is equipped with a foldable platform that allows the easy lifting of wheelchairs up the staircase. As an alternative a foldable seat also permits the save transport of people having difficulties of climbing steps, with the person sitting on the platform lift.